This health insurance review is for the State Health Insurance Company. State Insurance Company is based in New Zealand and offers many different types of both personal and business insurance coverages. However, State Insurance Company does not offer any sort of health or medical insurance. If you are in the market for health, dental and/or vision insurance coverage, you must contact another carrier. As a subsidiary of IAG New Zealand Limited, State Insurance only does business in New Zealand. IAG New Zealand is the largest insurance in the entire country of New Zealand, and is part of the Insurance Australia Group. Despite being part of an Australian company, IAG New Zealand and State Insurance only serve New Zealand residents. State Insurance Company has more than 15 offices throughout New Zealand. 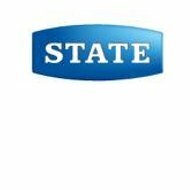 State Insurance offers 24/7 assistance, and has dedicated phone lines with live customer services representatives available at all times for customers. In addition, State Insurance has specific phone numbers of policyholders that are traveling out of the country, as well as roadside assistance and claim phone numbers. State Insurance has been in business for more than 100 years and insures more than 450,000 individuals living in New Zealand. State Insurance used the tag line “Love Your Stuff” to promote the importance of having the proper insurance coverage with a company that is able to pay claims in a timely and efficient manner. Despite all these different insurance products, State Insurance does not offer health insurance of any form to business or individual customers. State Insurance Company also offers a rewards program where individuals can earn points to redeem for airline miles. The program is known as Fly Buys, and you can earn one Fly Buy point for every $20 spent on premiums. These points can in turn be used on flights, hotels, and other travel programs. State Insurance also offers the ability for policyholders to file a claim online through their website or by calling a toll-free claims phone number. A life and living policy, which helps pay bills if you suffer a major health problem such as cancer, stroke, or a heart attack. Lifestyle coverage gives you a steady income stream to cover bills and other expenses if you cannot work. Value Plus Funeral Coverage offers guaranteed coverage to individuals between 50 and 75 years of age without any increase in premium. In addition, death by any reason receives automatic coverage from State Insurance. State Insurance offers both accident and injury insurance for business and individuals. Including guaranteed coverage for people ages 18-64 with an extra $5,000 coverage amount added to any claim during the first two years of having the coverage in effect. IAG New Zealand has received a rating of AA- from the Australian division of Standard and Poor’s. This rating is given based on the company’s ability and propensity to pay insurance claims. An AA- rating is considered “very strong.” The rating is reviewed every year, and placed on file with the New Zealand registrar of companies’ database. The main IAG New Zealand website contains excellent information about careers with the company. In addition to being able to search for various positions with IAG, interested applicants can learn more about the company. Specific sections on the type of people that work at IAG, company benefits, information on why you should work for IAG and detailed information about the company are all available online.